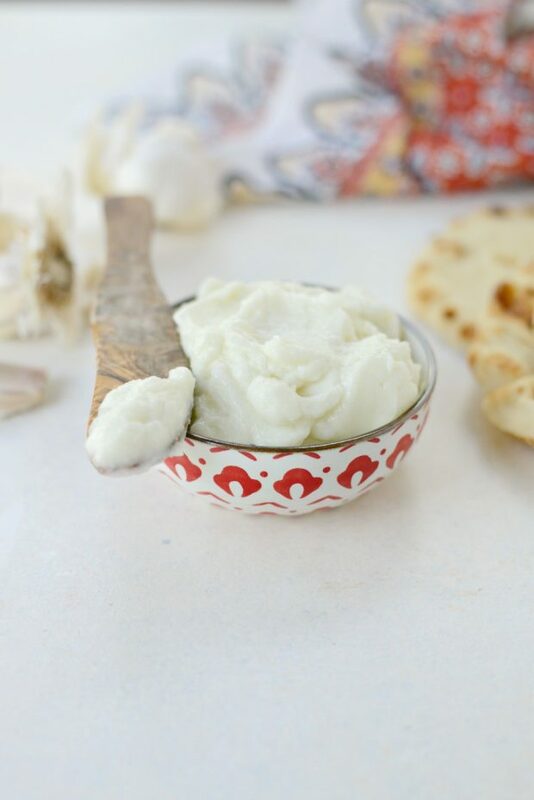 Lebanese Garlic Sauce is a fluffy garlic sauce that is also know as toum. Use this delicious condiment as a dip, spread or whisk it into salad dressings. 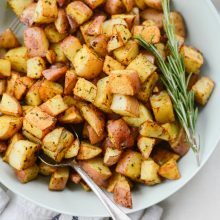 Calling all my fellow garlic loving people! If you’ve had chicken shawarma wraps or dined at a Middle Eastern restaurant then there’s a very good chance you’ve had this sauce. 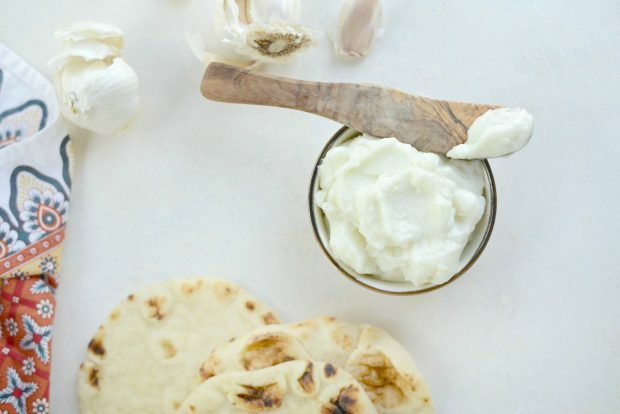 All questions will be answered in this “how to make Lebanese garlic sauce” post. First up: What’s in it? GARLIC! 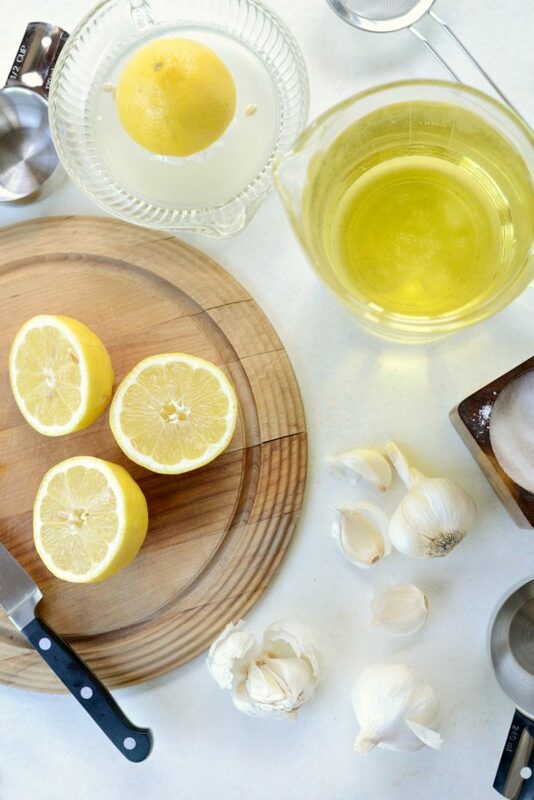 Garlic, salt, oil and lemon juice. That’s it. No potato, egg or sour cream and mayonnaise as some may think. 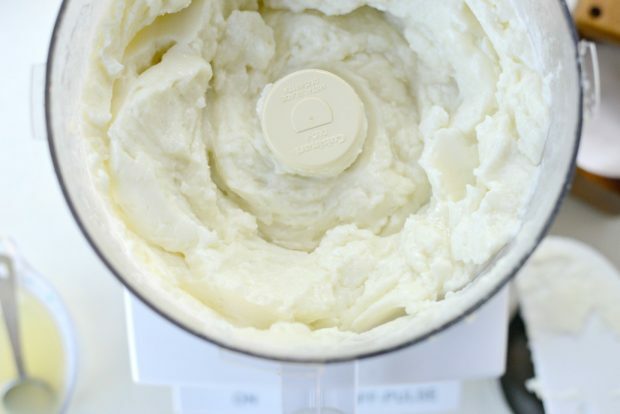 And it all happens by going slow, taking your time and creating an emulsion in your food processor. 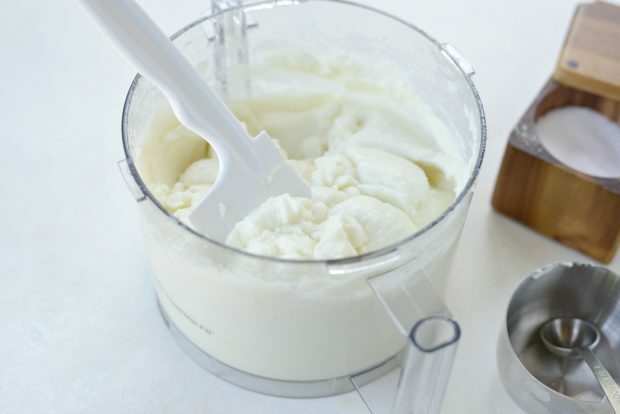 If you can make homemade mayonnaise, you can make toum. First start with a cup of peeled, whole garlic cloves. Make sure the bulbs are firm with tight skins and do are not sprouting green shoots. I have one of those silicon tubes for peeling garlic. However you can place all individual cloves of garlic into a stainless bowl with another stainless bowl over top (both rims touching) and shake. The peels should/will come right off. I have yet to try it, but after rolling 4 bulbs worth of garlic cloves I will definitely try it next. Next add 2 teaspoons kosher salt and the cup of peeled, whole garlic cloves to your food processor, fitted with the blade attachment. **TIP: when I was doing my research on this sauce, I watched several YouTube video tutorials and I remember one saying to make sure every tool and gadget is thoroughly dried and that there is zero water in your processor, on your spatula or measuring cups and spoons. Because water will not allow the emulsion of oil and lemon juice with the garlic. Then pulse until finely chopped. Next scrape down the sides with a spatula. Then secure the lid once more and pulse until finely minced, scraping down the sides one last time. 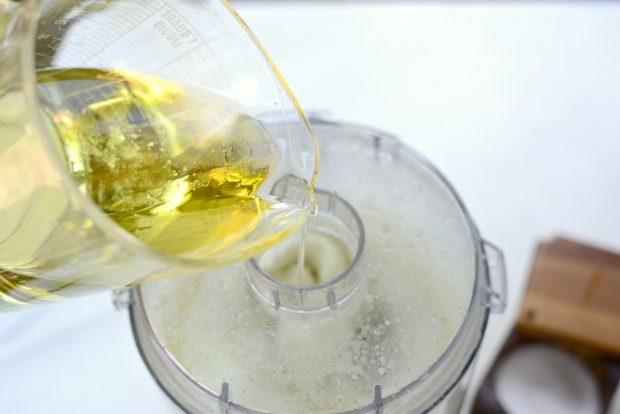 With the motor running, S-L-O-W-L-Y pour a half cup of grapeseed oil in a thin and steady stream into the processor. Why grapeseed oil? Well, truthfully, the thought of using 4 cups of any oil gives me the heebie-jeebies (did I spell that right?) so I went with an oil that is healthier. Typically corn or vegetable oil is recommended, and will most likely yield a lighter and fluffier sauce. 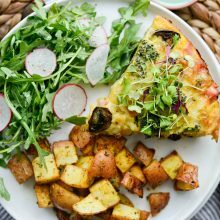 However grapeseed, light or extra light olive oil may be used. Keep in mind that the taste will still be delicious, but it may affect the overall texture or “fluffiness”. 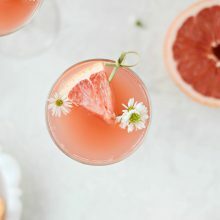 Next, allow the processor to continue to blend for 30 seconds before pouring in 2 teaspoons of freshly squeezed lemon juice. Repeat these steps, going slow and not rushing adding in 1/2 cup (of oil) and then letting it run for 30 seconds before adding the 2 teaspoons of lemon juice. Keep alternating, scraping down the sides once in a while, until you’ve used up both the oil and lemon juice. 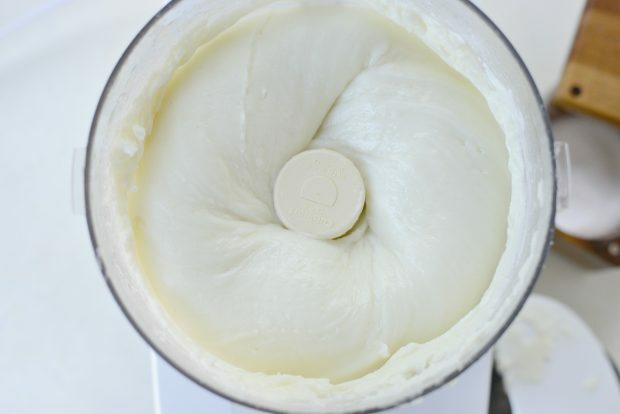 Once the oil and lemon juice is used, continue to blend for another 30 to 45 seconds until light and fluffy. It’s incredible isn’t it? Just salt, garlic, oil and lemon juice. Remove the bowl from the base of the processor. It will be warm from the processor running for a long period of time. Leave the sauce on the counter to cool down to room temperature. Only store when the sauce is no longer warm. Make sure moisture doesn’t accumulate on the lid of the storage container, or the water could drip into the sauce and it could cause the garlic sauce to separate. Cover and refrigerate for 1 to 2 months, or portion this up and freeze for up to 6 months and have garlic sauce whenever you wish. I do try to make this garlic sauce a day in advance. Because this will give it a chance to calm and mellow out a bit. Because this is a garlic sauce, so expect it to be potent. 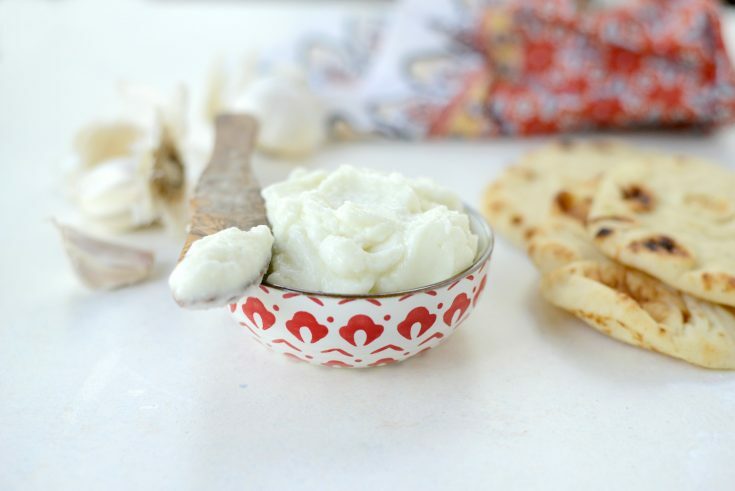 This Lebanese garlic sauce is crazy delicious and my entire family loves it. 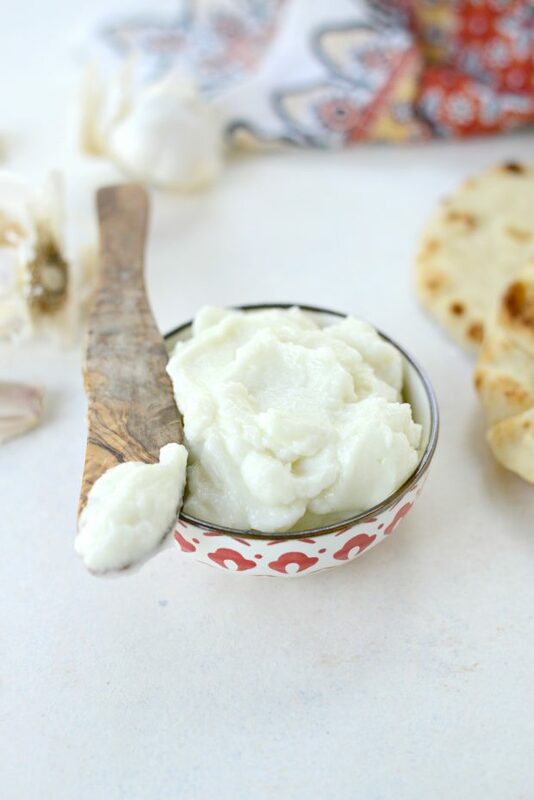 You can serve this Lebanese garlic sauce with freshly baked pita bread, chicken shawarma or shish tawook. However there are dozens and dozens of ways to use this amazing garlic sauce. Enjoy! 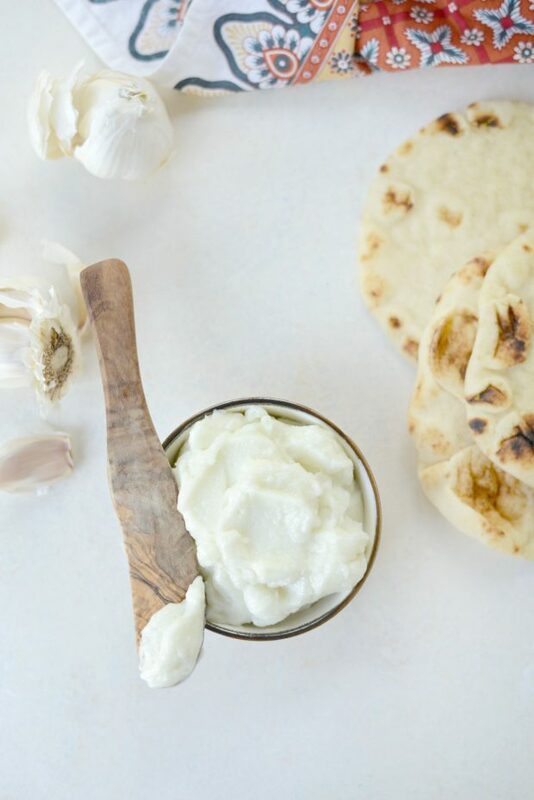 And if you give this Lebanese Garlic Sauce recipe a try, let me know! Snap a photo and tag me on twitter or instagram! An addictively potent and magical white garlic sauce. 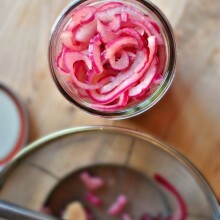 Use as a dip, spread or whisk into salad dressings. It's without a doubt delicious! 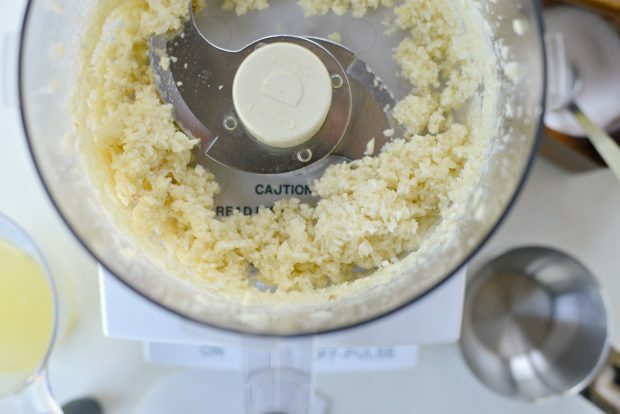 In the bowl of your food processor, add the 2 teaspoons of kosher salt and the peeled garlic cloves. Pulse until chopped. Use a spatula to scrape down the sides of the bowl and continue to pulse until finely chopped. Scrape down the sides of the bowl one last time before securing the lid. 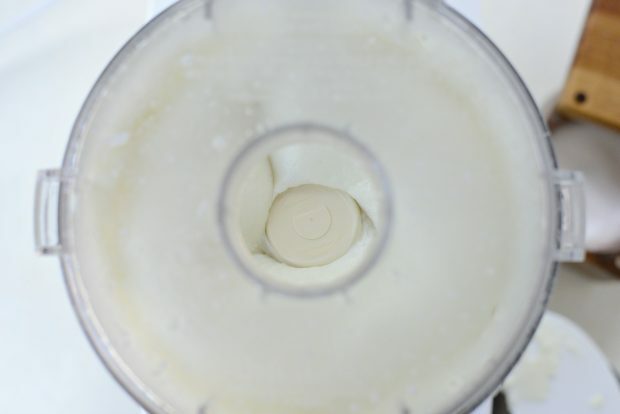 With the food processor running, very slowly pour a 1/2 cup of oil in thin steady stream through the hole of your lid or the food chute. 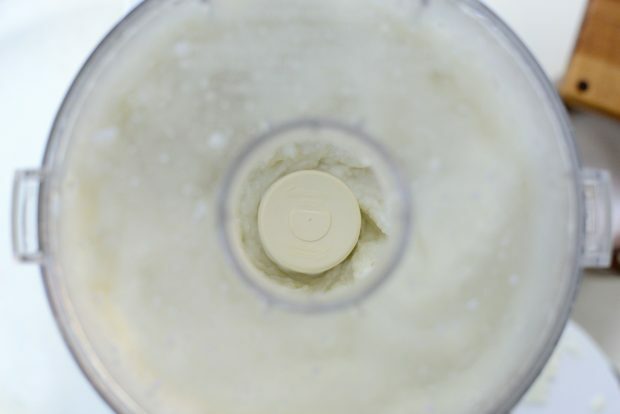 Stop and allow the processor to run for 30 seconds before adding in 2 teaspoons of lemon juice. 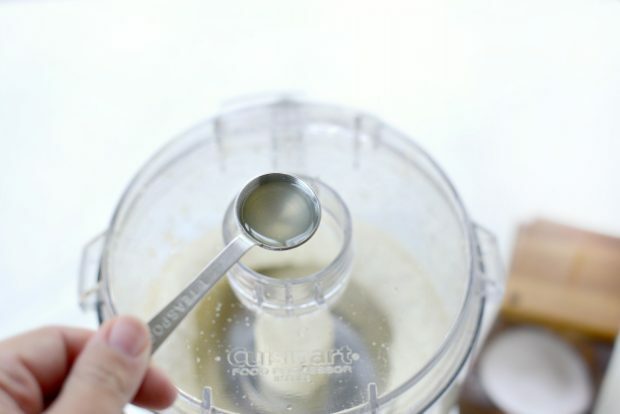 Repeat this step; 1/2 cup of oil, allow the processor to run for 30 second, then add 2 teaspoons of lemon juice until both the oil and lemon juice are gone. 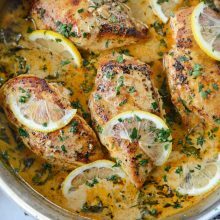 Once all the oil and lemon juice have been used, continue to process the garlic sauce until light and fluffy, about 30 to 45 more seconds. Remove the bowl from the food processor and take out the blade. Allow the sauce to cool on the counter for 1 hour or until the sauce has cooled down before storing. 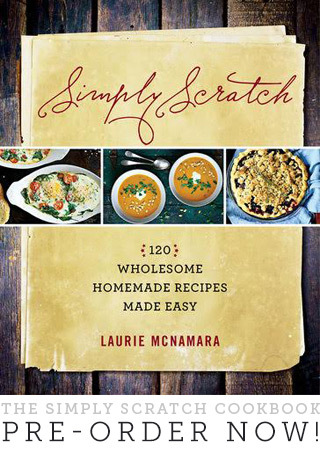 SIMPLY SCRATCH TIPS: Make sure every tool and gadget is thoroughly dried and that there is zero water in the bowl or on the blade of your food processor or on your spatula, measuring cups and spoons. 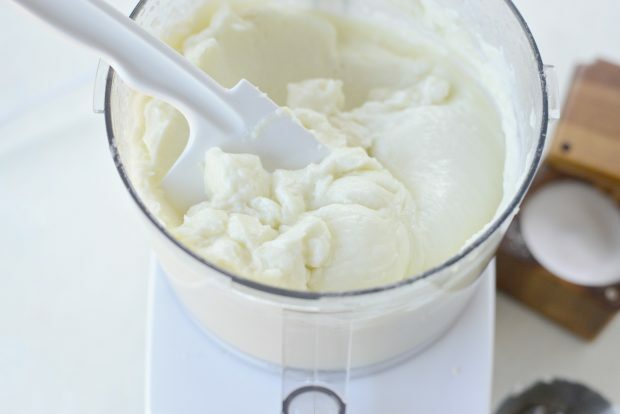 Water will not allow the emulsion of oil and lemon juice with the garlic. 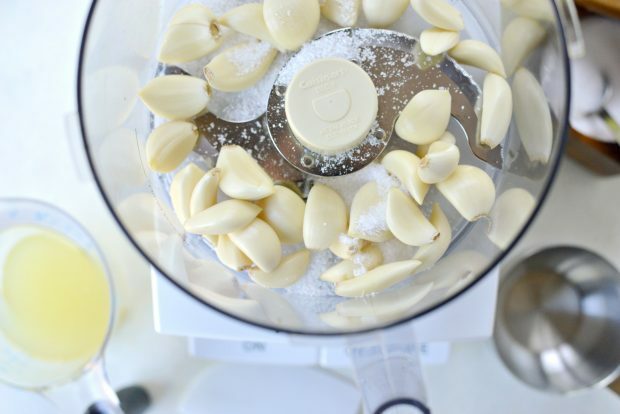 Use fresh garlic! Bulbs that have sprouts coming off the top are not good! 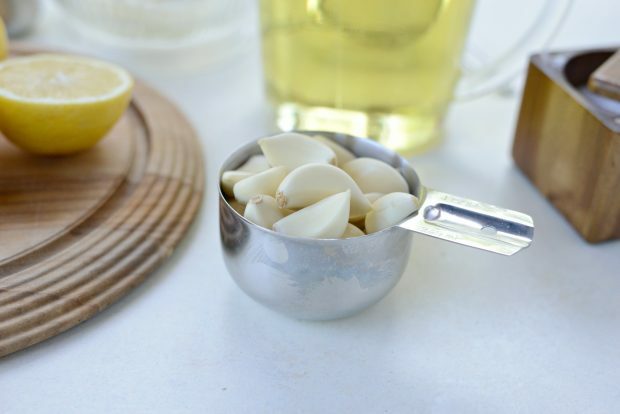 Use bulbs of garlic that are firm, with tight skins and are without blemish or green sprouts. Also allow the sauce to cool completely for an hour on the counter or until the sauce is room temperature and not warm whatsoever. You just don't want any moisture to accumulate on the lid of the container you're storing it in or the water could drip into the sauce and it could cause the garlic sauce to separate. Cover and refrigerate for 1 t0 2 months, or portion this up and freeze for up to 6 months and have garlic sauce whenever you wish. For best results, make a day in advance. Oh my, heaven on earth this stuff! I had to stay in Grand Rapids for a work seminar and both days I ate at this awesome Lebanese restaurant and I couldn’t get enough of it. Didn’t know it was called Toum. Can’t wait to make this! This stuff is what hopes and dreams are made of. The city I live in (Halifax, Can.) is full of Lebanese restaurants and I always get extra garlic sauce on my Wednesday night $5 shawarma I pick up after teaching spin class at the gym next door! Thaaank you! This is the whitest comment I’ve ever read in my life. I have had this stuff and always wondered how it was so incredibly delicious and smooth. It is very addictive and I will probably smear it on (almost) everything. I am very excited and will be making it tonight. I can’t wait! Thank you for the recipe. And by the way, your pictures are always so gorgeous! Omg!! Best thing ever! Had it on home made sour dough and husband thinks I’m a goddess! Thanks so much for a new favorite. I grew so much garlic this year so this is great!! I love this stuff and have been trying to get as close as possible to the fabulous Toum made at the Shish Kebab Express on Telegraph Rd. in Southfield for years. It’s tough ! There isn’t a single dish I make that I mess up as much as this … but when it’s good, it’s heavenly ! 3 tips i’ve picked up…. 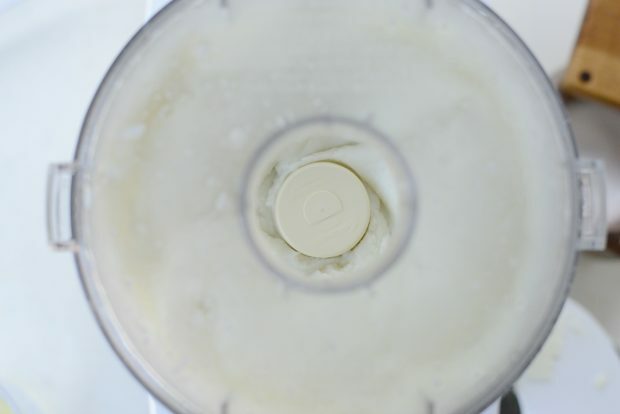 First, keep a small bowl of ice water (mostly ice, little water) nearby and at the very end, add one or two Tbsp of ice water to the processor. Each little bit of water makes it lighter and fluffier. Second, if you just can’t get it to emulsify, it might be your processor. Mine is not great. Rather than joust at windmills all day, if I’m running low on garlic, I’ll use the method with an egg white to facilitate emulsification. It’s cheating, but it makes it far more likely to come together. Finally, with the garlic … this is just about the only dish I will ever buy pre-peeled garlic to make. If I have to do it myself, I usually separate the cloves, put on a piece of paper towel, and microwave them all for 15 – 20 seconds. That releases the bond between the garlic skin and the peel, and makes the peels just pop off. It’s FAR easier that using a knife to smash or running through a tube roller – you can just pop the cloves out when they cool a bit. Hi Laurie, this looks amazing as usual… I’m curious how much minced garlic you end up with after processing the cup of cloves, any idea? Thanks! I couldn’t get it to emulsify at all! It’s just liquid deliciousness. Any ideas?? Thanks! 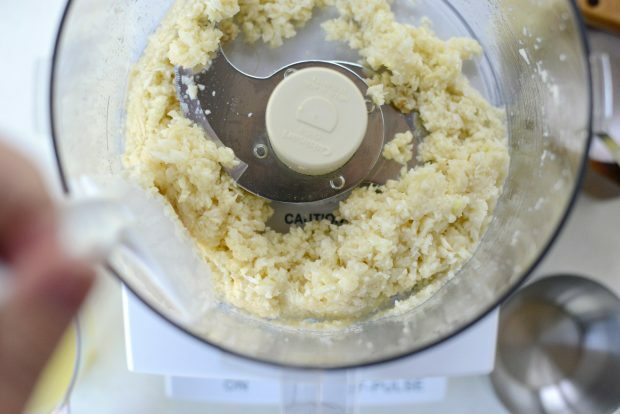 I’ve been making this for years and what I do is to purée the garlic and salt in a blender in full power then I mix the oil and lemon juice together with an immersion blender (or you could just shake them together in a jar) and then very slowly add that mixture in a thin stream to the garlic purée. If your sauce does go wrong, don’t throw the oil away, start over with another few garlic cloves and salt and add the “failed” mixture slowly to the new mixture. It should have emulsified while you VERY slowly pour in the olive oil. The recipe turned out great. I froze extra but the consistency was not the same when it defrosted. Any suggestions? From everything I’ve read, if moisture (water, condensation etc.) get’s into the sauce it can affect the consistency, which may be hard to avoid when freezing/thawing. 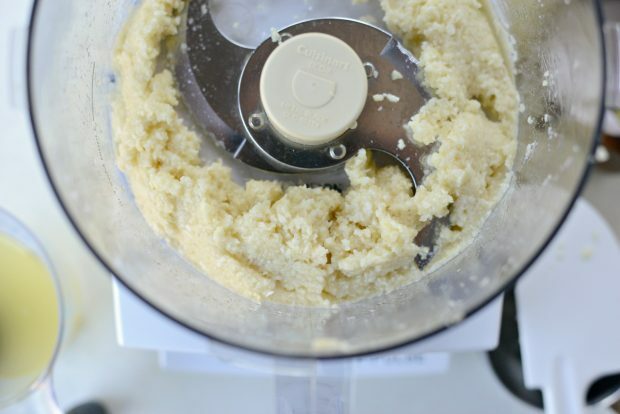 Hi What is the brand of the food processor that you used to make the toum? 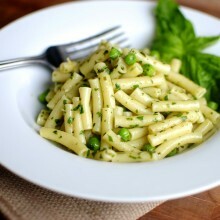 I am trying to find a processor that minces the garlic to a paste and emulsifies it especially for this sauce. Thank you. Hi Eli! 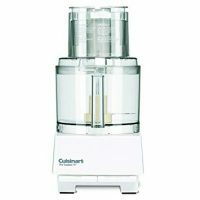 I have a Cuisinart and I love it!! this is amazing .I am not familiar with cups so guest and I had only virgin olive oil so it was a pale green bowl of loveliness. I’m glad to hear it work out for you, Iris! Oh man, this stuff is addictive. I found your recipe when I was trying to find a substitute for the garlic paste I buy from a local Lebanese market. I, too, was nervous about the four cups of oil, but the flavor is just bananas. Thanks for the detailed instructions! I know, 4 cups of oil is A LOT! But you see how it doesn’t taste oil and the recipe makes a bunch. I’m so glad you liked it, Jean! I just made it first time! It taste so good but it’s liquidy not the paste form. I used ninja food processor. I will get more garlic tomorrow and will try to add to make the consistency thick. Hi Laurie, can you use a vitamix blender to make this sauce? Hmmm, I honestly have no idea. I would think so, but I haven’t tried it – but now you have me curious! Hi Susan, it sounds like your garlic sauce did not emulsify. I would try adding more garlic and the remaining oil VERY slowly. Hope this helps!